Those of you who are reading this comic, and therefore this column, on the last couple of days before Christmas either are our most loyal readers, or are stuck at work while everyone else scampers home and you are therefore reading this while you're bored in the office. Or you don't celebrate Christmas. In which case, I want Santa to give me the presents which had been earmarked for you. Benjamin's pose in Panel 1 is actually rather tricky and I only managed to pull it off with the aid of lots of leaping around my living room brandishing an imaginary gun and frightening the cats (also imaginary.) 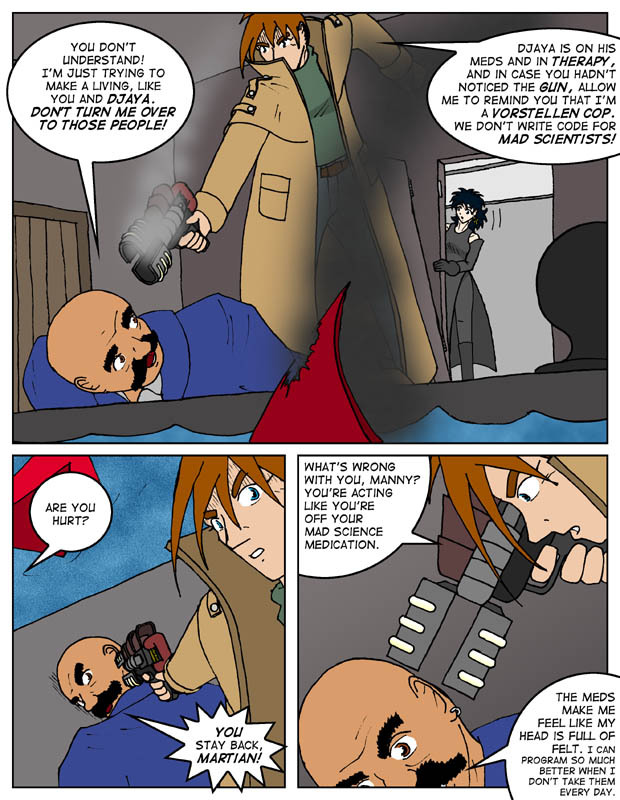 And check out panel 3. I actually drew lips! Can you believe it? Anyways, as only partial thanks for your patronage here's an early Christmas present from MoS to you -- actually, two presents. 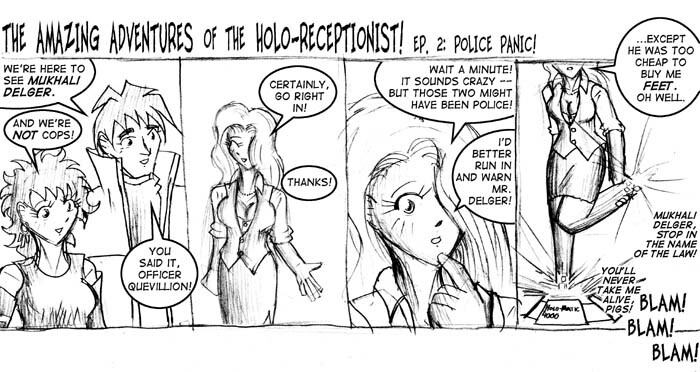 The first is none other than Episode Two of The Amazing Adventures of the Holo-Receptionist! The second present is my personal pledge to you that you're only going to be subjected to one more of those. And you can take that to the bank.